Why haven’t I heard of The Catenians before? We have sometimes jokingly been described as “the best kept secret in the Catholic Church!” However, the Catenians are not a secret society, nor are we Freemasons. This web-site gives factual information quite openly on our organisation. When and where did the Catenians begin? 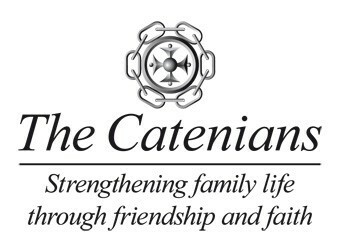 The Catenian Association was founded in Manchester in 1908 (initially as “The Chums”) to provide mutual support for Catholic men who found it difficult at that time to progress in business because of their faith. This is no longer a major problem in the UK and Europe, but the importance of sharing experiences and meeting people socially remains in an increasingly secular world. How is the Catenian Association organised? The members belong to largely autonomous local Circles, who elect their own officers. Each Circle elects a representative to sit on an area council (Province). The Provincial Council elects its own officers and monitors the welfare of the Circles in its area and tries to create new Circles. Each Provincial Council elects a Director to sit on the Association’s Grand Council. Grand Council is the governing body, it promulgates the rules, runs the central office and takes care of the Association and Benevolent funds. The Catenians are now in the process of re-organising into semi-autonomous regions based on countries and geography. How can I find out about joining The Catenians ? For all the information you are likely to require, click here to go to the ”About Us“ page, and follow the additional links as you require, or else just click Contact Us. What happens at a Circle Meeting ? The meeting starts with prayers. As in any Association there are a few administrative procedures – minutes of the last meeting, discussing and voting on financial matters, election of officers, news and correspondence. We have ceremonies for enrolling new Catenians and the annual installation of the President and other officers. Social matters and sporting events are discussed and plans laid for future events. We also pray each month for all deceased members of the Circle and we receive reports on the welfare of Brothers and their wives who are unwell or are housebound. Meetings aren’t entirely serious – friendly banter and discussion is both allowed and actively encouraged. Why do some people wear Regalia at Circle Meetings ? Only Officers wear regalia (badges of office), which indicates to members those Brothers with official duties. According to our rules, only the President HAS to wear regalia, each Circle is free to decide on all other regalia. Our Circle currently chooses to insist that all Officers wear regalia, but this is an entirely democratic decision that you could help to alter should you wish to join us. Why do you call each other “Brother” ? This traditional greeting acknowledges the brotherly love between each other and the support each gives. It has no connection with any Trade Union. Isn’t ritual out of place in modern society ? We don’t think so. The small amount of ritual we have is a shared experience that helps to bind our members together and ensures the good order of the meetings. Without a minimal amount of ritual, we could be almost any other benevolent social organisation. Are Catenians expected to prefer fellow Catenians at the expense of others in business? Not at all. That would be a misuse of membership and Catenians are not permitted to canvass other members or use the Members Directory for promotional purposes. Catenians are however expected to promote & encourage the employment and careers of Catholic Youth (See: Schools Initiative), but definitely not to the detriment of better qualified candidates from other faiths. Why don’t you have women members ? When the Association was set up in 1908 the position of women in society was different from today and membership was restricted to men. These days wives & families play a major role in our activities. Also, our ladies sometimes have their own social gatherings during Circle Meetings, which many of them seem to prefer and enjoy. We are considering creating a “Youth Wing”, membership of which would be open to both younger Catholic men and women, potentially as an introductory stage to opening up full membership to both sexes. Watch this space for developments….! What do The Catenians actually do ? In many Parishes, Dioceses and Catholic Charities throughout the UK, hundreds of Catenians help and undertake responsible roles. If you look, many of the really active lay-people in your Parish are probably Catenians…! We contribute significantly to Catholic, multi-faith & secular charities, both as an Association and as private citizens. Locally we have the Catenian Secondary Schools Initiative (using the wealth of knowledge and experience of Catenians to help Catholic School Children succeed), and the Public Speaking Competition (see About Us).